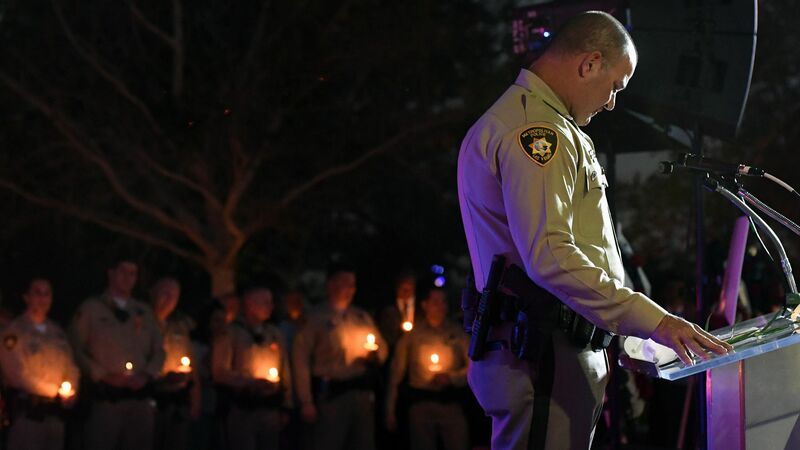 Authorities are still without a motive to explain the deadliest mass shooting in modern U.S. history in Las Vegas last year, the Associated Press reports. The big picture: Upon the release of the investigation's final report, Clark County Sheriff Joe Lombardo said they haven't found a motive for Stephen Paddock's October rampage that left 58 dead and hundreds wounded. The report includes summaries of 14 of Paddock's bank accounts. Between September 2015 and September 2017, the total balance of those accounts dropped from $2.1 million, to $530,000. Sheriff Lombardo referred to Paddock as "unremarkable man," and attributed the losses to him not being "as successful in the gambling as he was in the previous years." Analysis of his bank accounts also showed that he "made nearly $95,000 in firearms-related purchases." There is still an ongoing investigation into officers' individual actions on the night of the shooting, including the officer "who froze" one floor beneath Paddock's room at the Mandalay Bay, during the shooting. Officer Cordell Hendrex said he was "terrified with fear," per the AP. He, three hotel security personnel and a rookie officer stayed in the hallway for approximately five minutes, before moving to a stairwell.